YEREVAN. 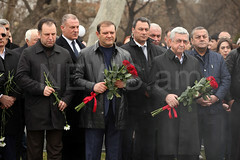 – Former Foreign Minister Vartan Oskanian is at the focus of Armenia’s law enforcers, Zhamanak (Time) newspaper reported. “Several days after the arrest of businessman Samvel Mayrapetyan, Oskanian attempted to leave Armenia, but he was banned [from doing so]. “According to our source, Oskanian’s name is circulated with [the criminal] case of Samvel Mayrapetyan. 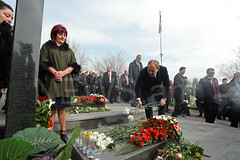 “In 2008, businesswoman Silva Hambardzumyan had transferred money to Samvel Mayrapetyan. “Our source reports that buildings have been built in [capital city] Yerevan with the money Hambardzumyan had transferred, and the Arabs who came to Armenia at Oskanian’s invitation have paid a portion of the money. Vartan Oskanian’s share [in this business deal] was paid with the several apartments of the new buildings located in the center of Yerevan,” Zhamanak wrote. As reported earlier, Businessman Samvel Mayrapetyan was arrested recently on charges of assistance to bribe, and a criminal charge has been brought against him. 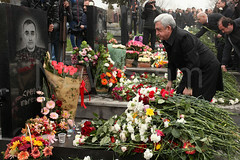 To note, he is also the owner of a TV company in Armenia.